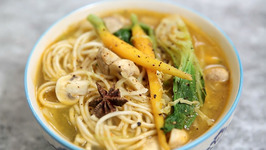 Thukpa is a Tibetan noodle soup recipe that is extremely popular in North-East India across all seasons. 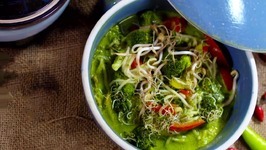 Chef Varun Inamdar shows you a vegetarian version of this famous recipe. 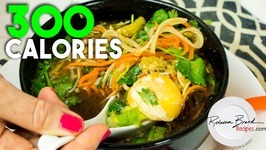 Rebecca Brand shows how to make a huge batch of Vegetable Ramen, NO NOODLE, only has 300 calories! 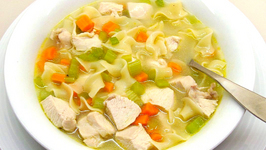 This diet, slimming recipe is super tasty and has NO GLUTEN, it's gluten free. 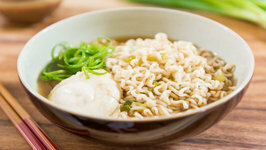 This Quick Ramen Noodle Soup only takes 15 minutes to make, and has a few tricks that give the broth a great depth of flavor! 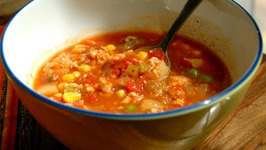 Tess Ward shows you once again that eating clean can be fun and tasty. 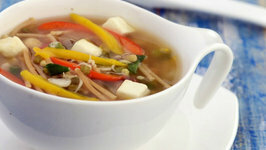 Here she shows you how to make a spicy beef noodle soup, a perfect filling meal with a touch of spice. 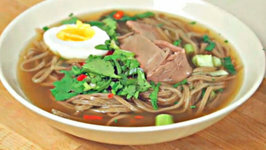 Videojug chef Joanna Kilvington is back with her We Heart food series. 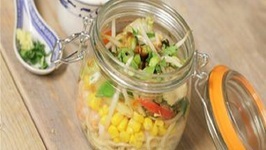 This week she shows you how to make quick noodle soup jars, they are delicious, quick and easily ..
Is this soup an appetizer or a meal itself? 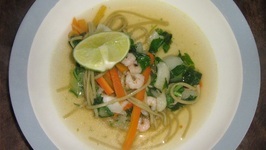 Well, the Noodle, Sprouts and Capsicum Soup is so wholesome it can be served in small portions as an appetizer, or in larger ..